I am Nid, a human Being who travels and teaches movement around the world. We are all empowered to heal ourselves if we learn to hear our true inner voice. My work is to help others find their connection and voice. I support others in releasing their fears, let go of their past traumas and communicate with their true joyous Self. I grew up working with my body through dancing. I loved to express myself through dancing and processed much of my childhood using this medium. However, I struggled with depression from the age of 7 years old and when I turned to dance training I became more depressed as technique did not permit expression of mySelf. My childhood was spent with endless headaches, migraines, serious depression and a desire to run away - from my life and self. From 19-24 years old I worked with others on expressive and creative movement, but lacked the confidence to understand the depth of my work. There was no support or others doing this work at the time, at least not that I knew to connect with. I became lost and more depressed. My solution was to become a workaholic lawyer where I became lost in my rational mind - 'reality' is never positive. As my depression became controlled and confidence in my abilities grew, panic attacks ensued. My movement habits were running to work, walks with the dog, gym and fitness classes - nothing expressive unless drunken nights dancing on tables. I had 'sold my soul' and openly acknowledged it. In 2014 after a head injury, I was stopped. Forced to rest, sit in silence, meet mySelf. I used holistic approaches to heal over 4 years. My strategy was to use my body's expressions (symptoms & emotions) to measure my recovery. This avoided pain relief and use of meditation to help manage where possible. I share many of my lessons through my teaching, as we can only ever genuinely teach from lessons that we have experienced. My work is through movement, massage and speaking. This can be online and at retreats around the world. I collaborate with other amazing healers and therapists because we all have something special to connect with those along our journey. I teach movement from the place of conscious awareness. My goal is to empower others to discover the tools of how the body and mind talk to one another, which helps us hear our unconscious and larger self. 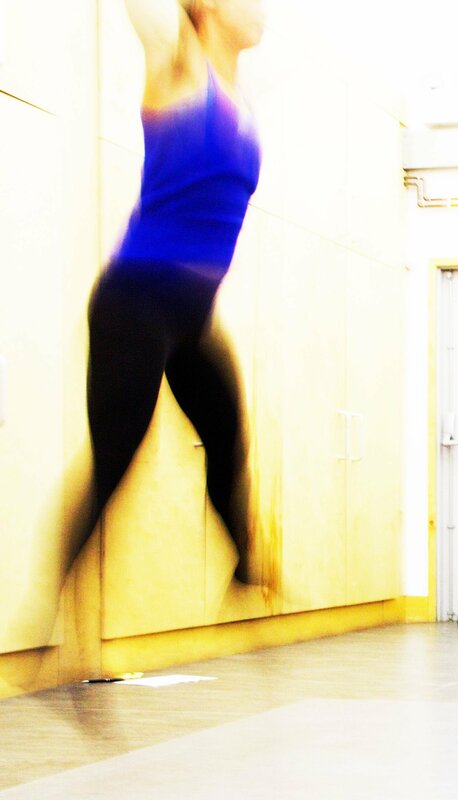 All movement must come from a sensation of ease, fluidity and stability - my core themes. I work with small numbers to ensure each person gets the movement awareness that they need for their whole being. My massage style is deeply energetic, whether intended or not. Through an integrated holistic style, called Raynor Massage, I scan the body for tension (physical and energetic). Then work around the body to remove those sources of tension. However, this only ever moves as far as the recipient of the massage is open to experience. Through their breath a release occurs, I am merely the channel that enables them to clear and release the tension. I work mostly with retreats and private clients online. My work draws many with long term pain or health issues to discover how to enjoy their body and use conscious awareness to understand their whole being for a full life. For those in perfect health I love to challenge your edge, face your perceived limitations and expand your full potential! From the breath we can deepen into ourselves, relax, soften and find support. Discovery of release to create ease. The principles of postural alignment aid the skeleton in supporting the body with less muscular effort. To surrender to our natural shape. Muscles that are supple and responsive at the right times and in the correct manner in movement. To move without effort. Through the use of gravity we can enjoy movement with connection to the earth, play with resistance and use its support when weak. Our soul in our physical bodies experience oppositional forces of alternate realities. Proprioception teaches us about our relationships with the world and others. We can communicate, be compassionate and kind. The spaces between body parts, thoughts and action all direct how conscious we are of our lives. We discover space in our breath, mind and body - a place of equanimity for finding peace. Through ease we discover grace, and our greater joy. I share my life experiences in blog posts with tips of how to find joy from them. Sometimes videos of my work or meditations to support us when we struggle. My journey has come from the rational mind, through many aspects of suffering to discover a deep spiritual connection. I enjoyed a life of suffering that I created in my own mind. With compassion I can see when others are fearful to release their suffering. Through meditation and movement, stillness, ease and kindness I share how I keep discovering the deeper layers, release more of myself to surrender further to the universe and mySelf.